I set up this blog in May 2012, but my first ever post was on 9th June 2012! Id been reading other Blogs and watching Youtube videos for months and I loved how everyone in the blogging world seemed to get on so well with each other. So I really wanted to be a part of this and share my thoughts too. I also started to get into nail art and nail varnish and I thought it would be a great way to post photo's of my designs. My first post (other than Bloglovin' link) was a review on the Nails Inc Catwalk Collection. So right from the start I was posting about nail varnish, ha! My biggest challenge is TIME! I work full time so I barely get the time to come up with new ideas for posts or get the time to sit down and write them or take photographs either! I always have to wait until the weekend to actually see some natural daylight to take some decent quality photo's. Which also makes it hard for me to do FOTD and OOTD posts too, which I would really like to start including in my blog. Motivation for me mainly comes from other blogs/bloggers. I love reading their thoughts on products. Which usually makes me go and spend MORE money on things I really don't NEED ;) And then I end up posting about them myself. So yeah, just keep on doing what you do girls :) & Thank you all! I Tag, anyone who fancies doing this! I love these posts! I can't imagine how I'm gonna fit in blogging around a full-time job, I'm super impressed that you manage so well. 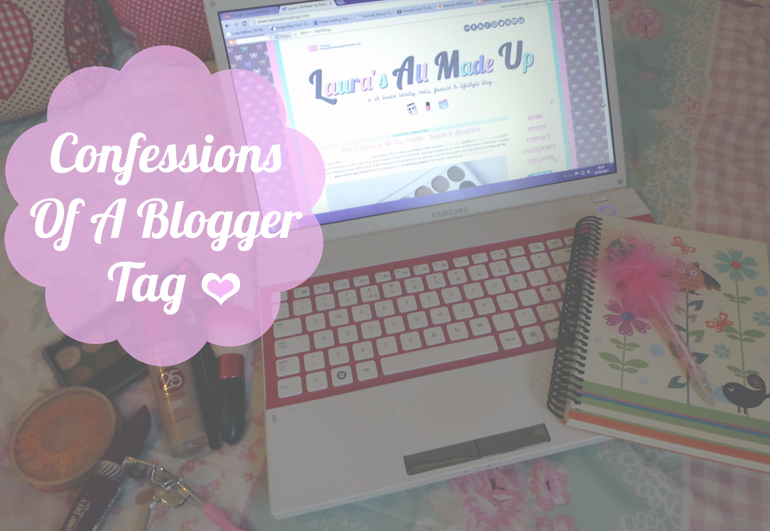 I also have a beauty and fashion blog so if you'd like to check it out that'd be fabulous!